Right before Christmas break, a few friends and I decided we needed a break from the cloudy and dreary London weather. Although the weather here can feed my creativity and learning, I was also severely lacking vitamin D. We found a cheap last-minute flight to Milan and planned a weekend trip. And while I also admit that my friends and I didn’t pick the best weekend to travel due to deadlines, having to buy sunglasses because we forgot ours made up for it. Who knew parts of the world were sunny? Here are 6 reasons why it’s important even during term time to take a minute to get out of London and search for sunny skies. Being a student at LSE can be stressful. Most of my peers spend their entire days at the library and their nights doing readings. Due to this, most of us forget how to take a step back from our work and relax. When you start to go off on travels not only does this help you learn to put the textbooks away, but it helps you escape the LSE bubble of stress and the gloomy nature of London (that we all also secretly love). So much of learning takes place outside of the classroom, and sometimes when we’re in London we forget that. By finding the sun on trips not only are you getting out and having fun, but you’re also seeing light shine down on something that makes the stuff in the classroom click. For example, in Milan I had a really enlightening conversation about healthcare (I study health policy) with a doctor which helped me see how they view their own policies compared to how I see it on paper. While it’s important to keep the learning in mind, it’s also just good to have fun and escape. 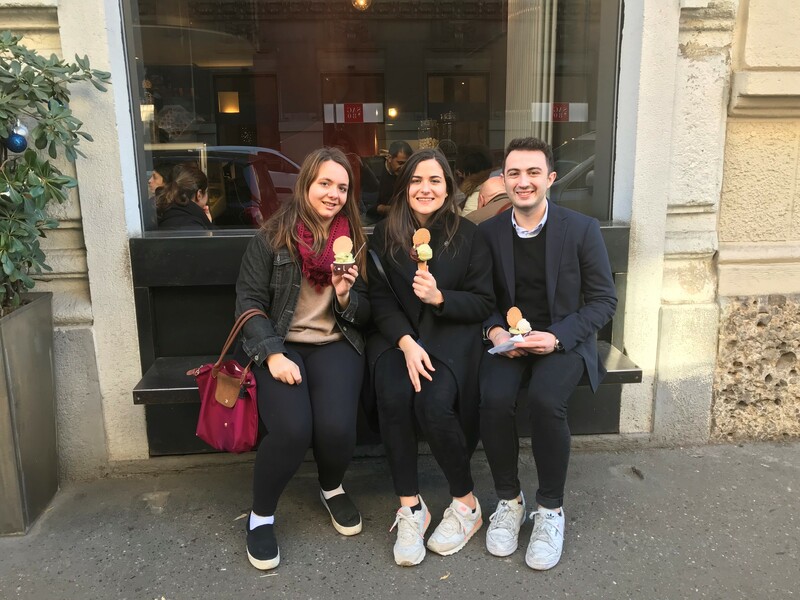 My friends and I loved exploring the streets of Milan and having the sun baking down on us as we walked along the streets eating gelato. It’s those tiny moments of joy that you really find happiness. And it’s so hard to not have fun when it’s sunny and warm. Especially as an American studying at LSE, one of the benefits of studying at LSE is being so close to so many amazing places. Looking for a sunny spot to hang out forces you to leave London and explore other cultures. For example, in Milan, my friends and I were at a café sitting outside enjoying the weather and coffee. I felt bad for taking up a table when we finished, and my friend laughed at me. She told me it’s Italian culture to do so and just enjoy the experience and time, not just to eat. Maybe other cultures have good ideas. One of the perks of escaping London meant we didn’t have access to the LSE library, meaning we had to finish some assignments before we left. This meant that our quest to find the sun really benefitted our school work since there was no room to procrastinate. Nothing else needs to be said on this one. Can be found in the library or baking in the kitchen. 50/50 change of finding me in either.